Before we were flinging birds at pigs, stealing from temples, and crushing candy, there was Snake. 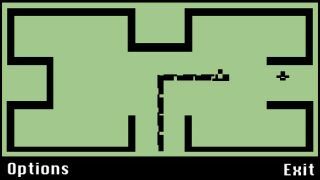 Taneli Armanto, who brought Snake to Nokia phones in 1997, has announced that the classic game is in the works for modern smartphones, called Snake Rewind. Armanto has partnered with Finnish game studio Rumilus Design, and will release the game for iOS, Android, Windows Phone devices on May 14th. The developers promise new graphics, gameplay features, power-ups, and the ability to "rewind" if you happen to crash your snake. The game will be spread over 10 levels, each featuring a unique design, including a classic Nokia feature phone screen. Though details on how the game will be purchased haven't been released, the developers hint that the game will be free to play, but offer in-app purchases for upgrades. Whether mobile phone users in 2015 will be receptive to the old classic is the big question. The original Snake has suffered a plethora of clones over the years. That leaves Armanto with unique new features and good-old nostalgia to count on for Snake to have a fighting chance.